This work on work, about work — the work poets do, the work they ought to do, the work they have to do on top of/instead of their “real” work — is by turns frustrating and frustrated. It consists of three sections and an afterword, each seemingly goaded on by its predecessor to dive more deeply into the same conundrums of purpose and motivation. The book’s title — What We Do — appears clear and confident, defiant even, but the tone of the essays that follow veers from defensive to pained, giddy to rueful, sheepish to impassioned. The book is playful throughout, but doesn’t let itself, or its reader, off the hook. Questions predominate. Is there any justifiable way to make a living out of, or for, poetry? 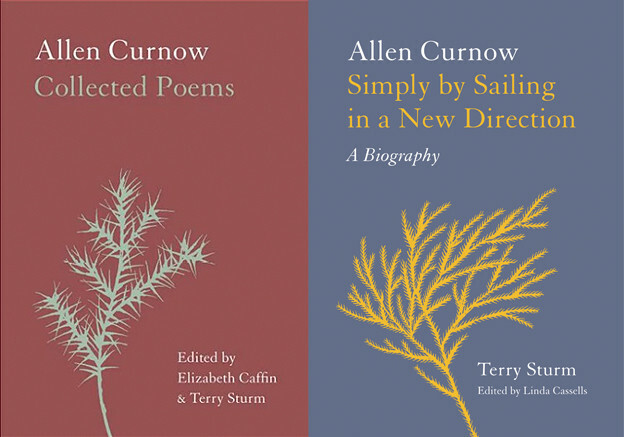 Is there life outside the “poetry world” (and should we be afraid of it)? Is there, Gottlieb asks (with increasing urgency), a way to carry on “doing” poetry meaningfully into middle age, and beyond? What is the alternative? The title of the opening section, “Jobs of the Poets,” nods to Samuel Johnson, with the further inference that perhaps Lives these days are subsumed entirely into Jobs. The section has been repurposed, having first appeared as the “Essay” half of Gottlieb’s 2010 book, Memoir and Essay (Faux Press). There it seemed a natural byproduct of the memory-work performed in the memoir half of the book, “The Empire City,” prompted perhaps by a weird strain of survivor’s guilt: Where did it all go right? How did I make it through, more or less intact? Did I? In that context, the work’s many fleeting references to New York geography made sense — were necessary, even. In this new book, these grounded moments are more jarring and provocative, little reminders of one of Gottlieb’s key themes: however general and generic one intends to come across, subjectivity and the specificity (and partiality) of personal experience are bound to show though. Two interlocking assumptions writhe at the heart of “Jobs of the Poets” and charge its questionings. The first is that we can locate a bedrock intrinsic value in the work of poetry, beyond the pleasure that the poet takes in making it (though this is acknowledged, too: “Nothing is better than this”). What does this realization, this awareness that “we know that we are most alive, most human — perhaps the only time we are fully alive — when we are engaged in this work” (39) allow? Sticking with a low-level menial job because it gives the time and mental space to do “real work”? Neglecting our responsibilities to others, even our friends and family? Succumbing to drugs or alcohol because they enable the “altered consciousness” vital to creativity? The second assumption at the heart of “Jobs of the Poets” is that in our current capitalist world, poetry’s visibility and commodity status is virtually nil, necessitating alternative routes to a more sustainable career. Yet isn’t the obvious option — academia — fraught with its own compromises and limitations? Is it the poet’s destiny to be forever jealous of those successful friends in the art world who have been able to make a living from their work? Should comparable opportunities exist for poets, is there any way to exploit them without “selling out”? These two premises — that poetry offers intrinsic cultural value, even as the poet must necessarily find sources of labor value that are not poetry — converge in Gottlieb’s repeated return to Max Beerbohm’s assertion that “the only problem with being a poet is figuring out what to do with the other twenty-three hours of the day” (49). Gottlieb’s essayistic investigations reveal how heavily that “only” and that “figuring out” can weigh on the poet. Gottlieb’s willingness to entertain the ugly and hurtful feelings that questions of sustainability provoke — anger, envy, despair — is compounded in “Letters to a Middle-Aged Poet,” the book’s second section. If the aging poet faces (it is a long list): the likely neglect of his or her work, the ignorance and disdain of the young, the sidelining of his or her historical contribution, the unjust elevation of the mediocre and the imminent arrival of a maybe-deserved oblivion, the question becomes, why bother? Gottlieb’s moving response might be summed up as “they also serve who only stand and wait.” Maintaining a sense of humor, showing up, and bearing witness — the elderly Edwin Denby’s recurring presence at New York readings is cited as exemplary — has its own value and, perhaps, reward. The communal aspect is key, maybe more important even, than “any of the arguments we tried to posit in our poems, or tried to point to by the way we wrote our poems or wrote about our poems” (90). This faith in the necessary continuity of the “poetry world” — despite its localized squabbles and injustices — is the very heart of the book. In the book’s third section, “A Spectre is Haunting the Poetry World,” Gottlieb turns, Ancient Mariner-style, to the young (“unhand me, grey-beard loon!”). “Jobs of the Poets” still flirts with the idea that a young poet might exercise some control over his or her destiny, but, in a world of proliferating MFA programs, the conclusion that “We too are a service industry” is often all too crushingly real: Gottlieb paints a memorable portrait of a perpetual adjunct working (maybe living) out of her car, having to serve one of her students and her parents during the evening shift at Red Lobster (48). 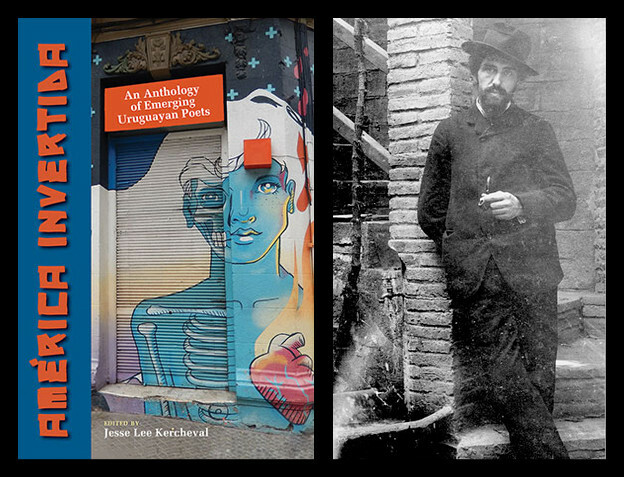 He has no quick solutions to such woes, but is moved by the evidence he sees — again, within the specific locales of the New York scene — of young poets producing radical, necessary work out from under economic hardship. This valorizing of the young — Gottlieb has earned the right to a little sentimentality by this point — is further demonstrated by the book’s afterword, in which Gottlieb recounts his response to the ongoing Kenneth Goldsmith and Vanessa Place controversies. (In short, he initially suspects the objections to be driven by insider politicking, is honest about his ongoing support for the underlying poetics of Conceptualism, but is won over by the power and passion of those criticizing Goldsmith’s 2015 Brown University performance and subsequent New Yorker profile and Place’s Twitter postings of Gone with the Wind.) While one could object that Gottlieb’s eventual advice — in essence, that older poets should listen to what younger poets have to say — is commonplace, it certainly beats barging in and explaining vociferously how the “young’uns” all ought to get along. Gottlieb notes of his treatment of the Conceptualism debates, “This, I didn’t want to have to write,” but for this reader at least, it feels a forthright attempt to put his money where his mouth is. The lessons he has reached in the face of his book’s incessant questioning may be minimal — turn up, laugh (at yourself in particular) and listen — but are disarming and admirable. Enough, perhaps, to go on sustaining a life — his own, the reader’s — in poetry. 1. Geoffrey Hill, The Orchards of Syon. 2. 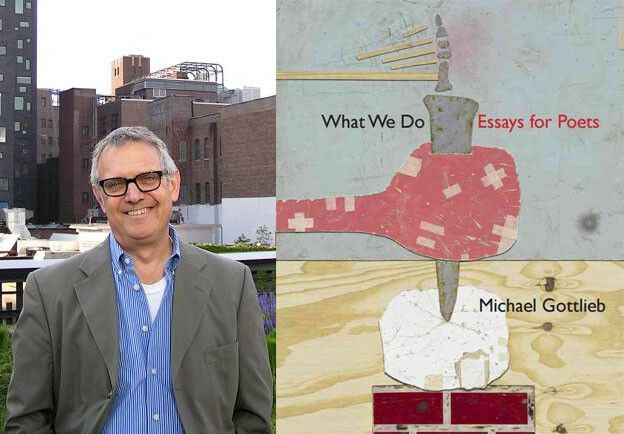 Michael Gottlieb, What We Do: Essay for Poets (Victoria, TX: Chax Press, 2016), 10. 3. John Milton, “When I consider how my light is spent,” line 14. 4. Samuel Taylor Coleridge, “The Rime of the Ancient Mariner,” line 11. When will this dream end?